VI.1.10 Pompeii. 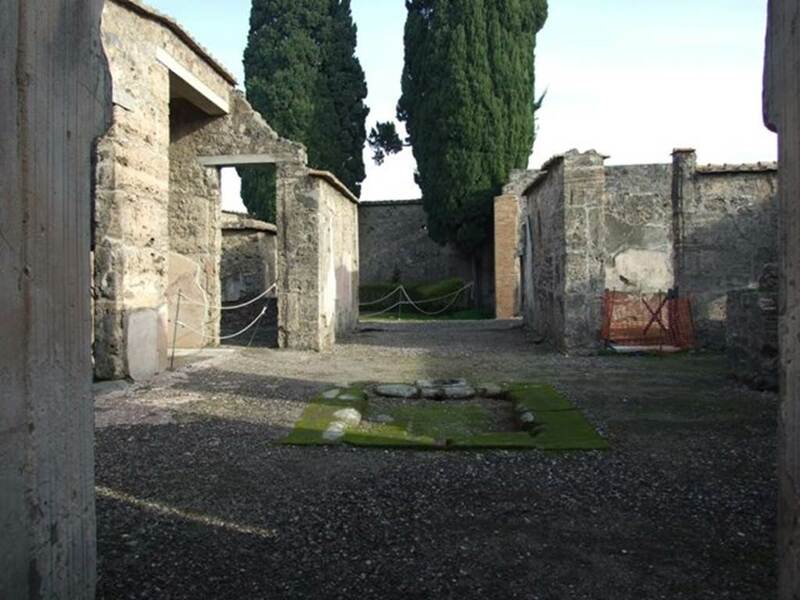 Casa del Chirurgo or House of the Surgeon. Linked to VI.1.9 and VI.1.23. First excavated 1770. VI.1.10 Pompeii. 1957. Looking south on Via Consolare. Photo by Stanley A. Jashemski. VI.1.10 Pompeii. December 2005. Entrance doorway, looking east. VI.1.10 Pompeii. 1937-1939. Entrance doorway, looking east. 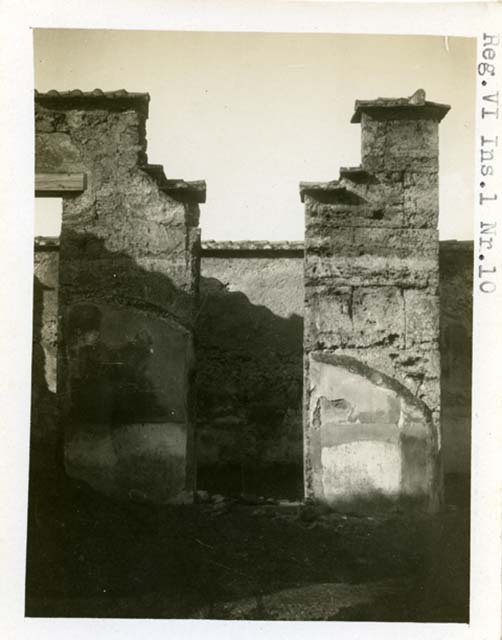 Photo courtesy of American Academy in Rome, Photographic Archive. Warsher collection no. 401. 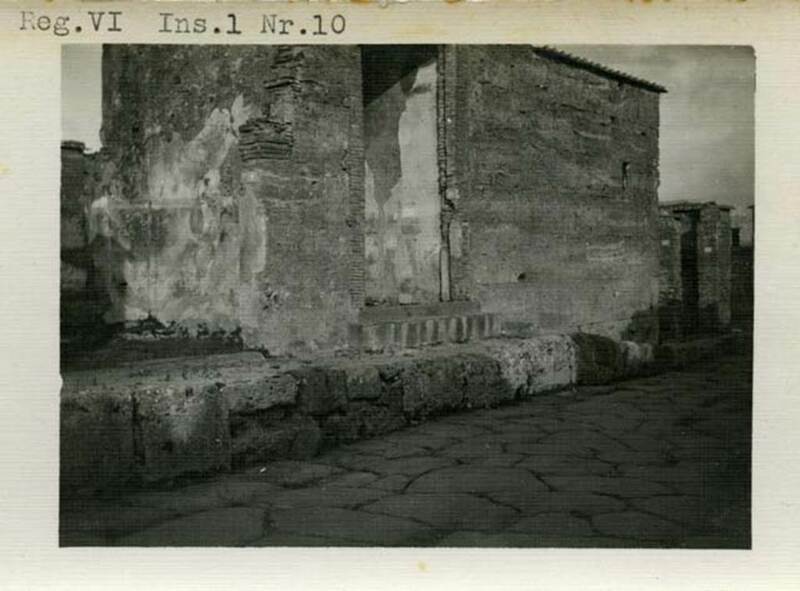 VI.1.10 Pompeii. December 2007. 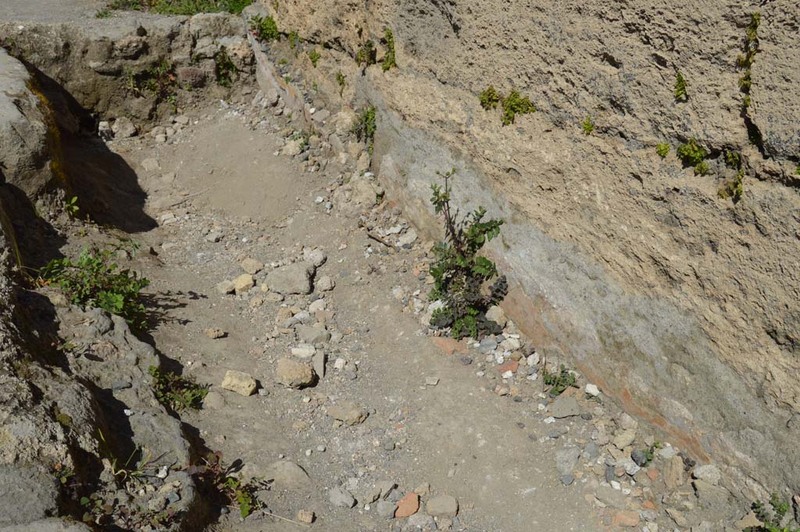 Entrance and north wall of fauces. 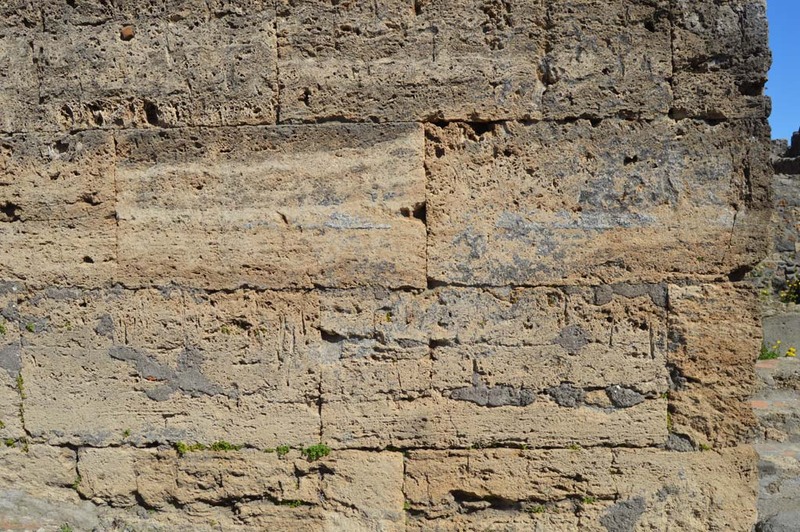 VI.1.10 Pompeii. 1968. 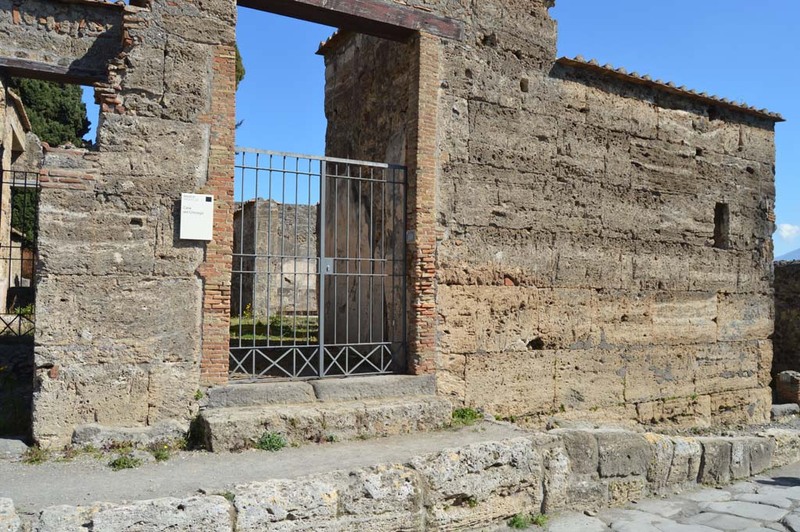 Looking north on Via Consolare towards entrance doorway. 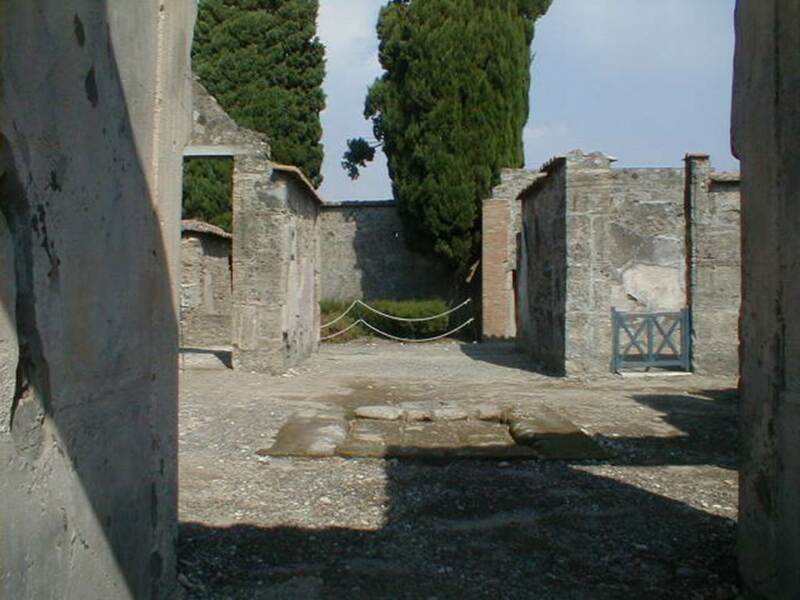 VI.1.10 Pompeii. September 2004. Looking east across room 1, the atrium. 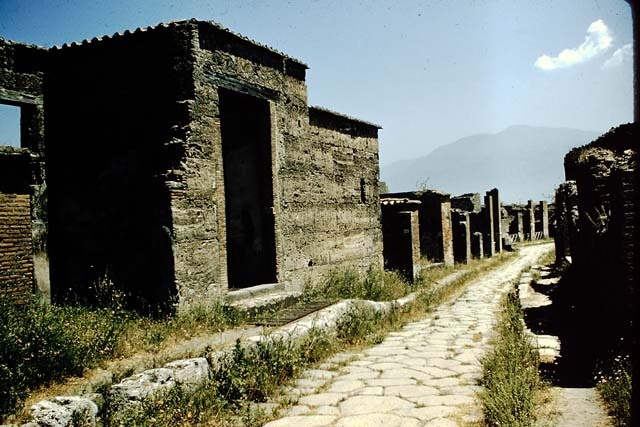 VI.1.10 Pompeii. December 2007. Looking east across room 1, atrium. VI.1.10 Pompeii. December 2007. Looking east across impluvium in atrium. VI.1.10 Pompeii. December 2007. 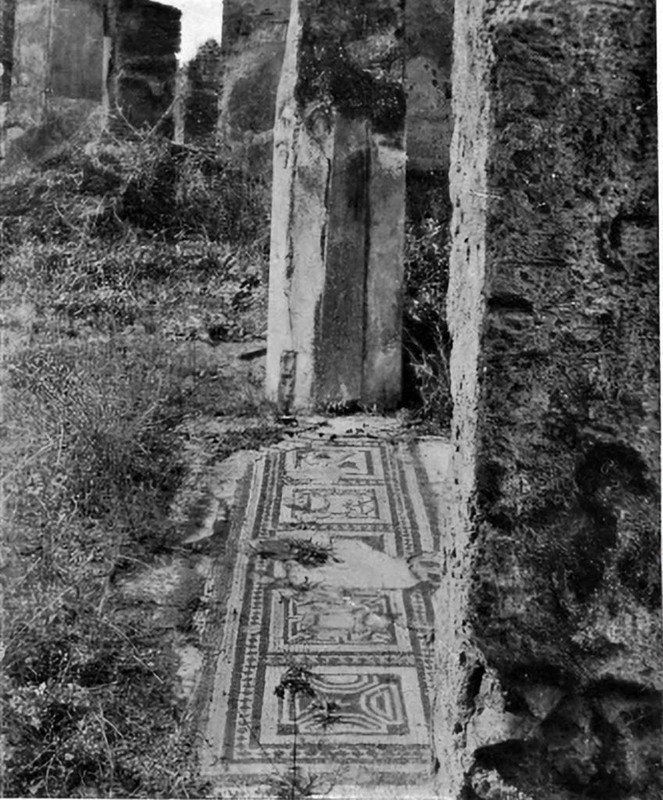 Doorway from atrium to VI.1.9. 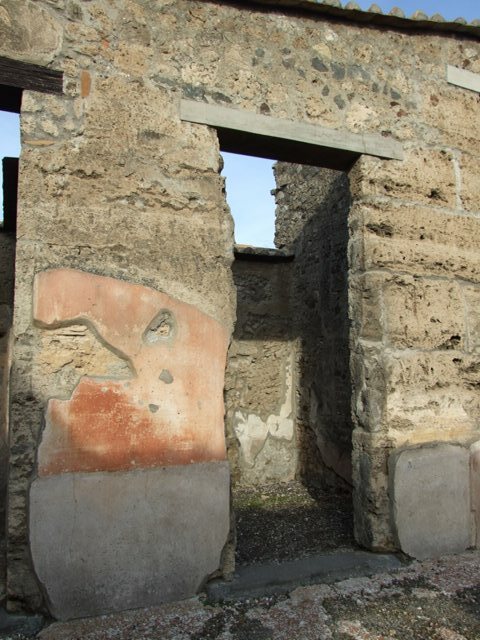 VI.1.10 Pompeii. December 2007. 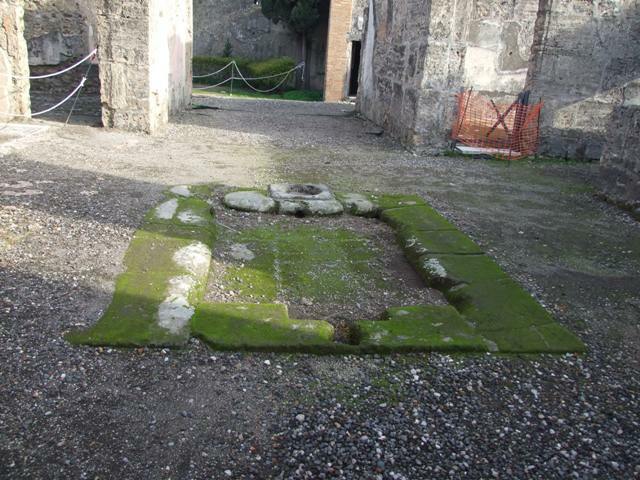 Doorway to room 2, cubiculum on north side of atrium. 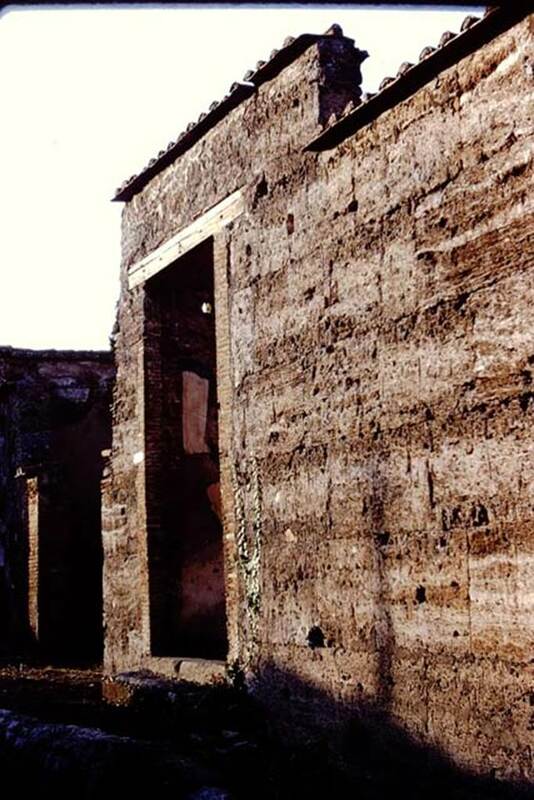 VI.1.10 Pompeii. December 2007. 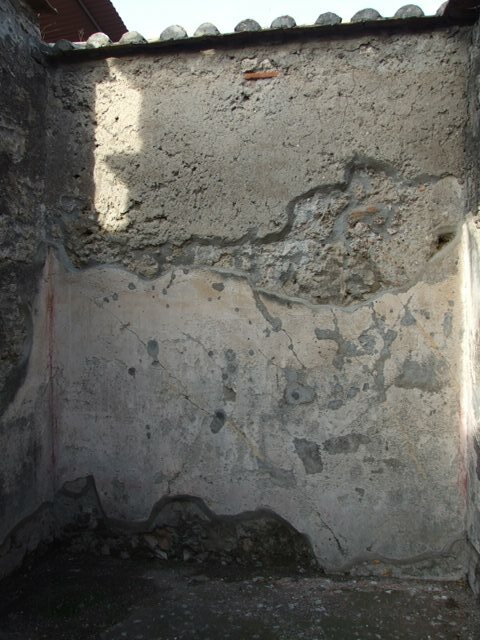 Room 2, north wall of cubiculum. 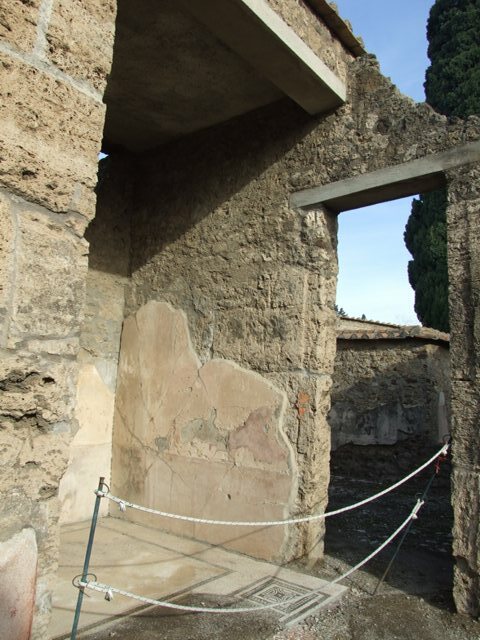 VI.1.10 Pompeii. December 2007. 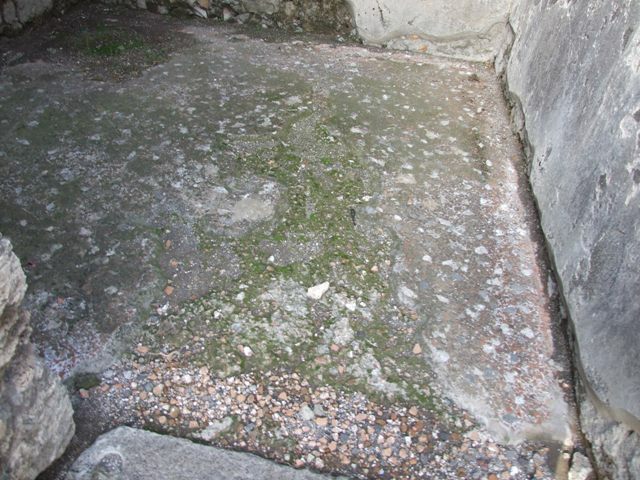 Floor of room 2, cubiculum on north side of atrium. VI.1.10 Pompeii. December 2007. 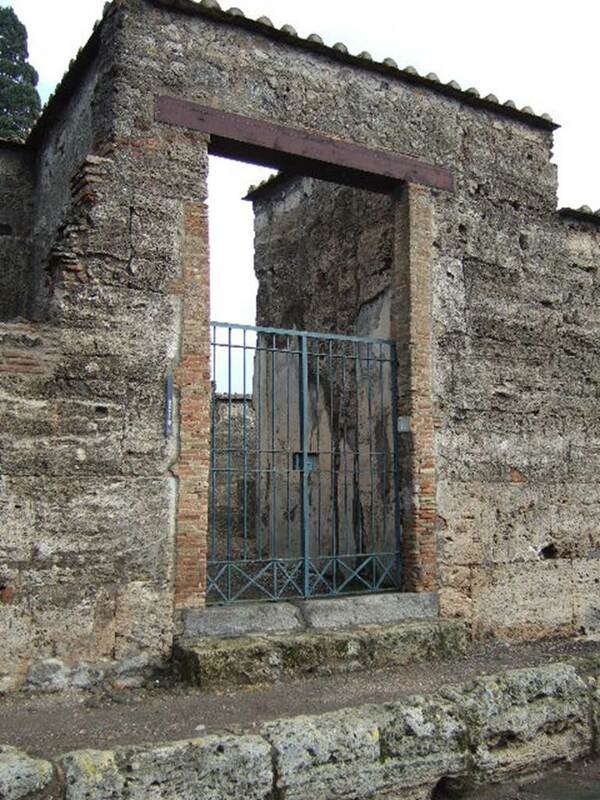 Doorway to room 3, cubiculum on north side of atrium. 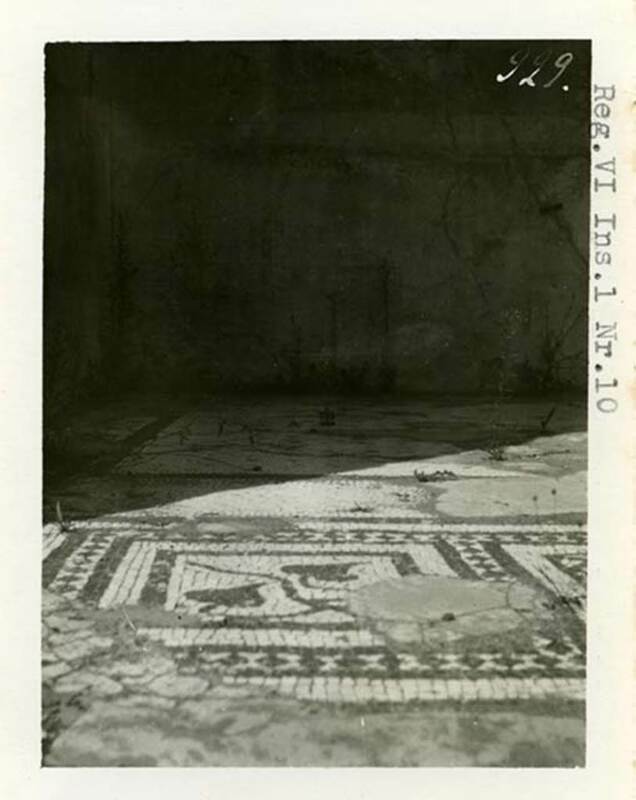 VI.1.10 Pompeii. 1937-39. 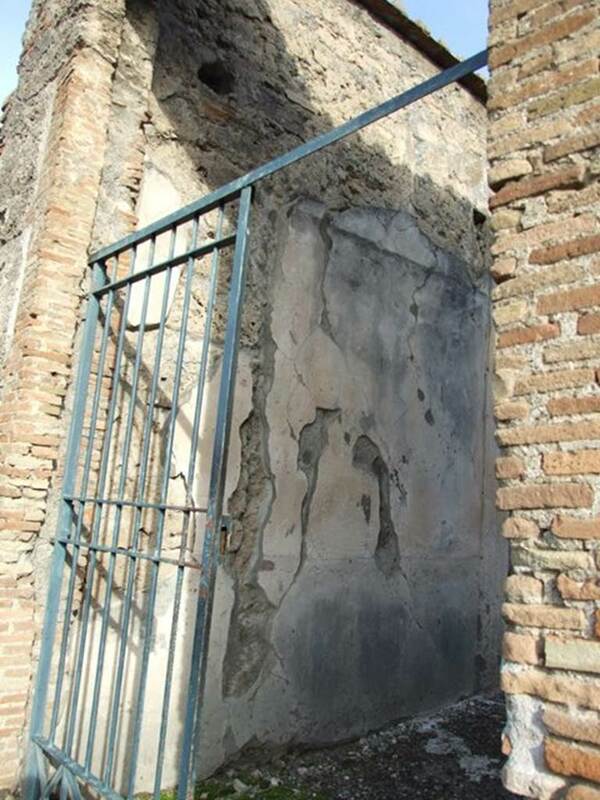 Doorway to room 3. 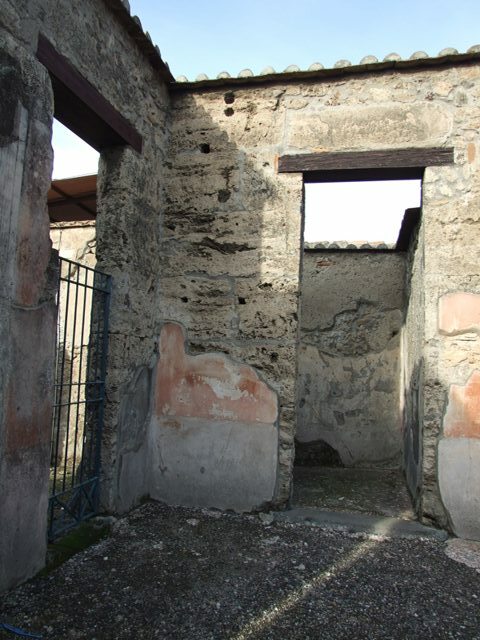 VI.1.10 Pompeii. December 2007. Room 4, ala on north side of atrium. 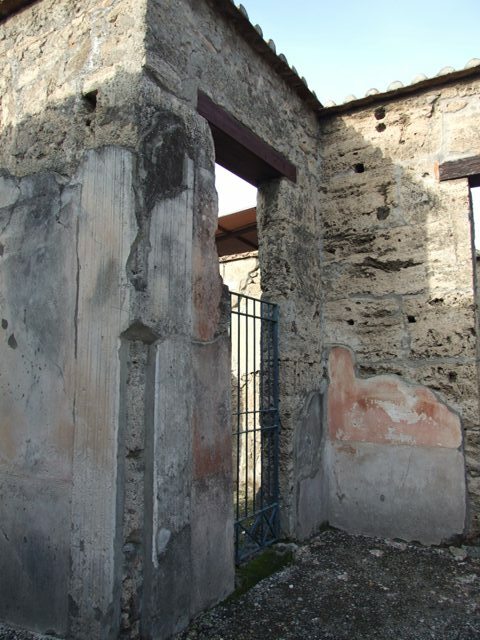 VI.1.10 Pompeii. December 2007. 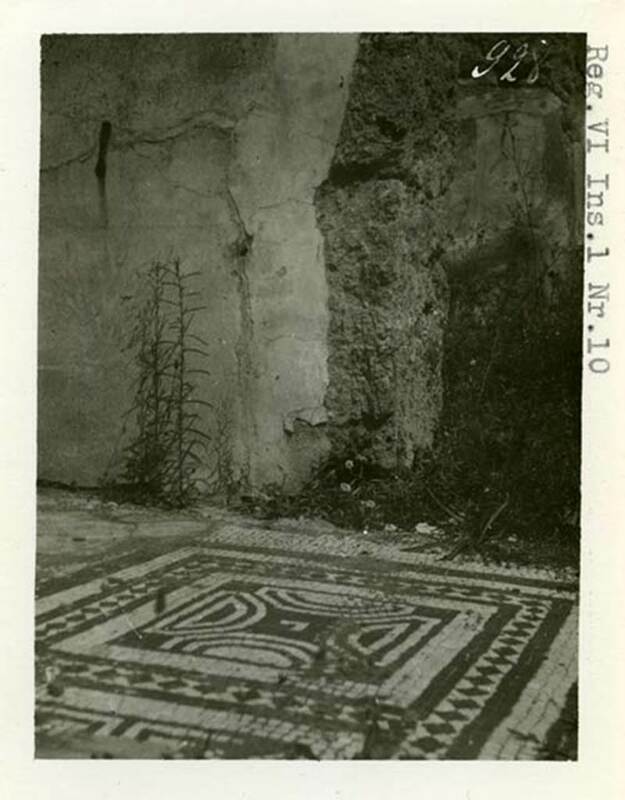 Room 4, detail from mosaic floor in ala on north side of atrium. VI.1.10 Pompeii. 1937-39. 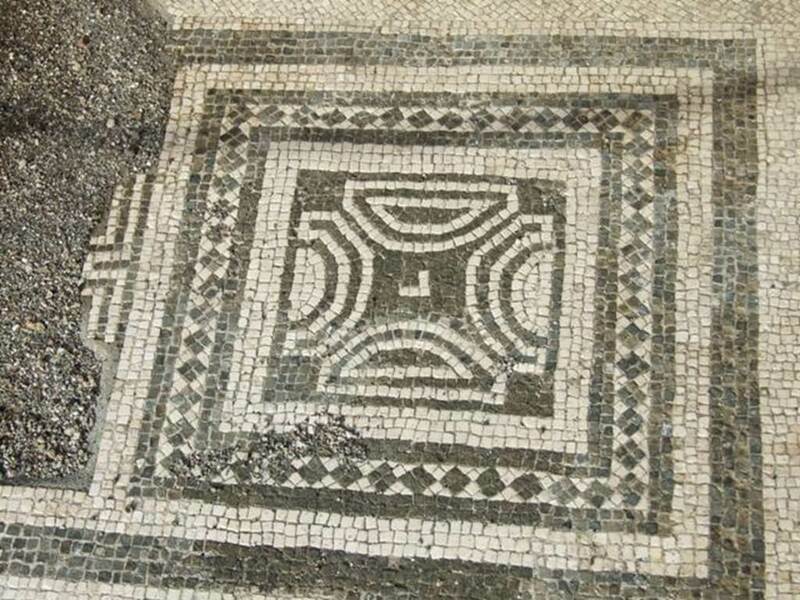 Room 4, detail from mosaic floor in ala on north side of atrium. VI.1.10 Pompeii. 1937-39. 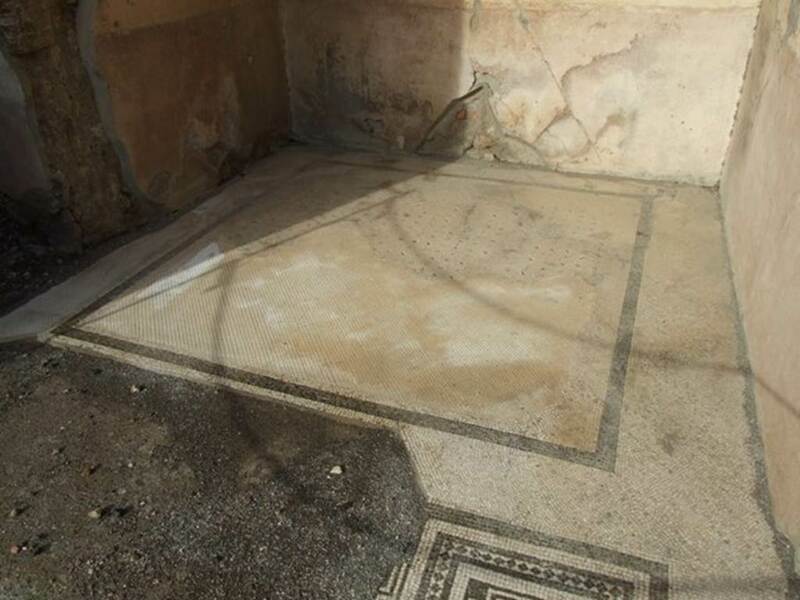 Room 4, looking north towards detail from mosaic floor in ala on north side of atrium. VI.1.10 Pompeii. December 2007. Room 4, north wall of ala on north side of atrium. VI.1.10 Pompeii. December 2007. Doorway to room 5, doorway from ala to room on north side of tablinum. VI.1.10 Pompeii. December 2007. Room 5, looking north-east from doorway. VI.1.10 Pompeii. December 2007. Room 6, tablinum. Looking east towards garden area.